Dubai – the second largest city in the UAE – has long been a favorite of people looking for both great vacation and business opportunities, thanks to a peerless spectrum of shopping, entertainment, and infrastructure facilities that this globally acclaimed destination offers. Not to mention, millions of people from all over the world descend to Dubai per year for a variety of reasons. Thinking of a visit to Dubai? Based on your origin or nationality, you’ll first need to find out whether or not you’ll require a visa to enter Dubai. For instance, the nationals of GCC (Gulf Cooperation Council) countries do not need a Dubai visa. Moreover, people visiting Dubai from more than 30 countries in American, European and Far Eastern regions are issued a visa on arrival. Another category eligible for this type of visa is GCC residents with high professional status, along with their families and personal staff. All visitors who do not fall under the above groups would mandatorily require a visa to enter Dubai. Depending on your purpose of Dubai visit, your sponsor in the form of travel agency, hotel, airline service provider, or friend / relative, will apply for a Dubai visa. Different types of Dubai visas include 96-hour visa, 14-day visa, 30-day visa, 90-day visa, 30-day multiple entry visa, and 90-day multiple entry visa. 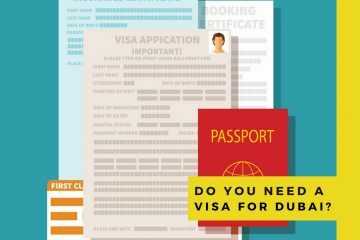 Once you choose the right visa that suits your Dubai visit and lodge an application, you’ll receive a unique Application No. Typically, it takes four to five working days to process your Dubai visa application. But if you wish to track your Dubai visa status, you can check with your service provider or do it online by directly visiting the website of General Directorate of Residency and Foreigners Affairs – Dubai (GDRFA – Dubai). A division of UAE’s Ministry of Interior, the GDRFA’s main role is to effectively control the entry and exit procedures of people who travel to the UAE via air, land and sea routes. Its core objective is to promote the status of UAE as a crime free destination through strict border control and residency rules. The GDRFA has launched a variety of advanced yet user friendly options to make its services smoother and available for people from across the globe. This covers all kinds of transactions pertaining to UAE visa and residency. 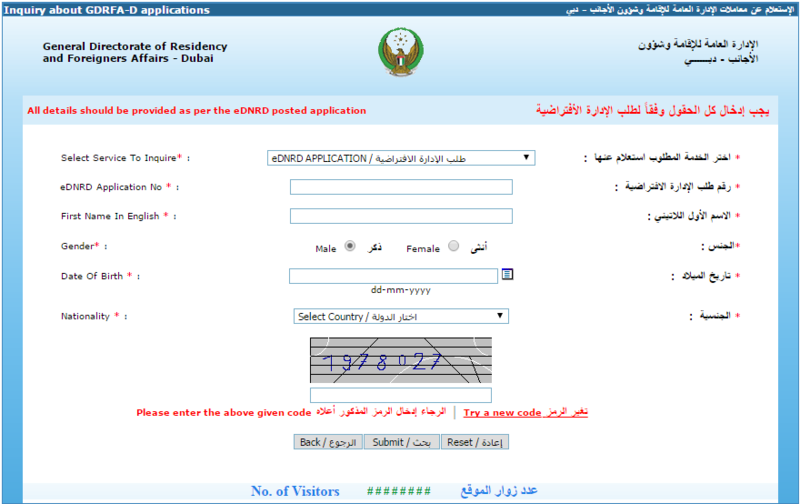 And the website of GDRFA (http://www.ednrd.ae/) is an innovative platform that allows you to minimize the time spent on managing your visa application. This indicates that the Dubai Immigration Department has received your application and is presently undergoing essential governmental procedures. Your service provider would get in touch with you, if they require any additional detail relevant for the processing or approval of your visa. It mostly appears when the details entered in the GDRFA query form go wrong. So, before you submit the particulars, verify the fields carefully and make sure that they correspond to the details given in your Dubai visa application form. This is vital to get accurate results. If the status shows ‘Approved,’ it means your Dubai visa is ready and you’ll receive it soon via email. Along with the status, you’ll also find details including the last date to enter Dubai. 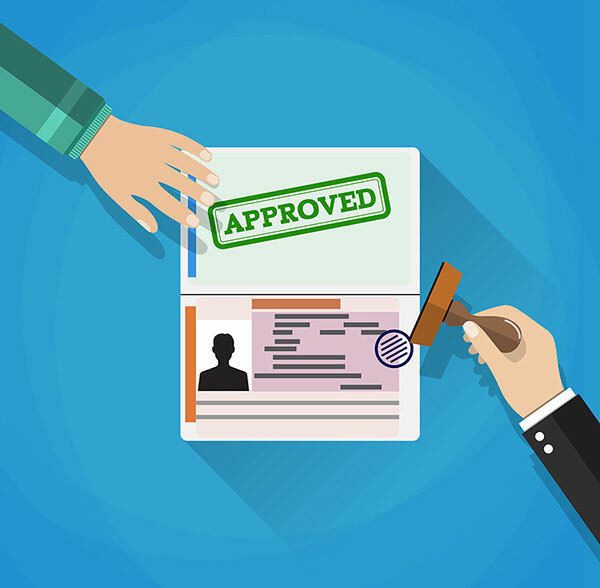 In the case of still active tourist / employment / residence visas, you can reapply for a Dubai visa, however, only after the cancellation of your previous visa. Apart from checking the visa status online, the same query form can be used for a variety of purposes, from tracking of the exit details and entry permit validity to checking the residence validity and residence application status.